This amazing couple came to me through another organization that I volunteer with called You Can't Spoil A Baby, (If you have never heard of them you should check it out) Jenny and I both have a special place in our heart for the group, and so working together was a natural fit. I met with their beautiful family and we got the ball rolling to start working out way towards selling their home. The two of them soaked up everything the stager suggested and worked incredibly hard for a couple weeks before we hit the market. The transformation was incredible and all their hard work was not unnoticed. Josh has an incredible eye, and I liked to call their house "Pinterest perfect" so many amazing touches through the home and stylish decorations had me tempted to have Josh come into my own home to work on my mismatched attempt at decorating. This poor family endured over 40 showings in a week. With two young kids selling a home is difficult, and these 40 showings really put them to the test. 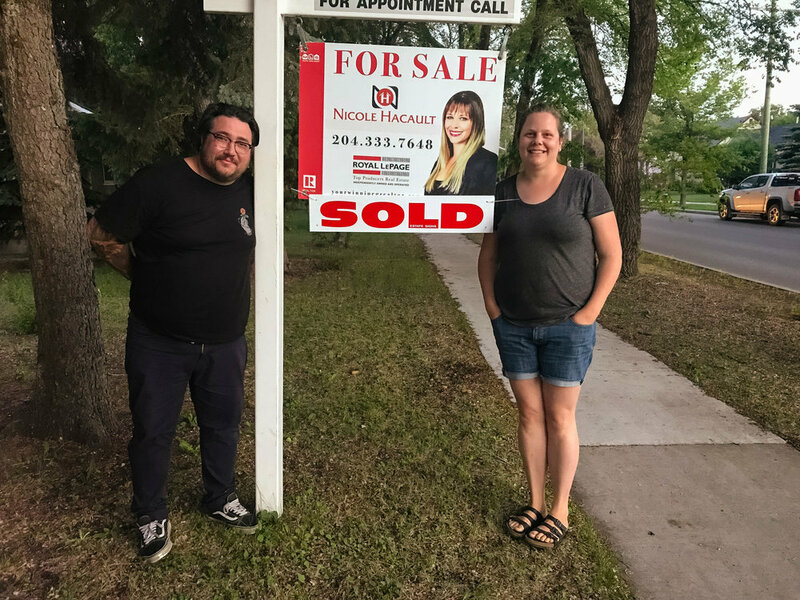 In the end it was all worth it when we were able to accept an unconditional offer over list price and hang up that sold sign at 10pm that very night. Thank you Jenny and Josh for being so amazing. Not once did you complain about your family routine being completely turned upside down over the week. At my last camping trip I found myself calling my kids "sweets" as I have heard you talking so kind, gentle and loving to your kids over the course of our relationship. You guys are an amazing family and I am excited for the next chapter of your journey that is already well on its way.